Who is offering you a better deal? Your credit union? Or the automotive dealership? This calculator offers a side-by-side comparison between financing your car with a low APR through a credit union and financing your car through the dealer and applying a rebate. There are two columns in which to enter information: “Credit Union” and “Dealer.” Under both of these headings, simply input the needed information pertaining to the cost of the vehicle, your rebate amount, the interest rate, and the loan term in years. When you click on CALCULATE, you’ll get a detailed breakdown that will show you the most cost-effective solution to your financing needs. The major drawback of buying a car for most people, aside from the high cost of the product, is trying to figure out the best source of funding. 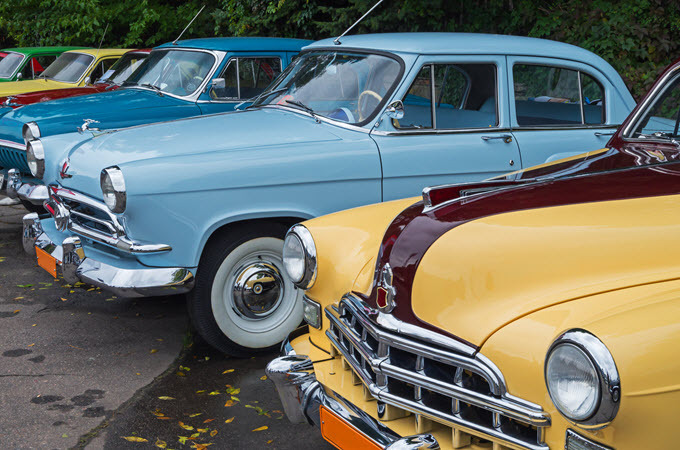 Since the majority of buyers don't show up with cash in hand, you're almost certainly looking to take on a car loan to cover the remaining balance after you trade in your old vehicle and/or offer a cash down payment. And this means you'll either have to work with the dealership to fund your purchase or you'll need to get pre-approved for a loan from an independent lending institution. And there's no denying that credit unions offer some of the best rates around. That said, you never really know where you're going to find the best terms for your car loan. As a responsible consumer, you need to take the time to comparison shop and understand all potential sources of lending and what they have to offer. Here are just a few things you need to know before deciding whether the funding offered by the dealership or the backing provided by your bank is a better choice when buying a new car. You might not realize that funding through the dealership actually comes from a bank, albeit a bank with which the dealership has worked out some kind of arrangement. So don't automatically assume that one is always going to be better than the other. Car dealerships partner with lending institutions to offer low interest rates and other incentives for buyers to use their services. Because banks are getting business through the dealerships, they're often willing to provide auto merchant clientele with better rates than buyers might generally be able to secure on their own. Of course, consumers who eschew retail banks in favor of membership with a non-profit lending institution may well enjoy even better rates. But you shouldn't jump the gun - take the time to explore all of your options. And don't be afraid to use what you already know. If you have pre-approval for a loan when you go in to buy a car, ask if the dealership can offer you better terms for using their in-house loan service. A poor credit rating will almost certainly make it more difficult to gain loan approval for a vehicle purchase. After all, you are asking for significant funding, and any lender is taking a risk by providing it. Of course, their payoff is the interest they'll earn as you pay down your debt, but that only works if you actually pay. So when you have a poor credit history, the lender is taking on a greater risk. That said, you probably have an established relationship with your bank, and it could make all the difference when it comes to securing an auto loan. Whereas the lender associated with a dealership may see your credit score and jack up the interest rate to compensate for a higher risk level, your bank is not only more likely to offer you a loan, but they'll probably offer better rates, as well. There is a downside to choosing an independent lender for your automobile purchase. Whereas the dealership doesn't care who you bank with when you decide to use their funding options, you actually have to be a member to enjoy the loan services offered by credit unions. These banking institutions are not the same as retail banks, which offer a variety of services to anyone, even non-members. Instead, they are non-profit, community organizations that are run by and for members, rather than shareholders. As such, they tend to offer services only to their members. So you will first have to qualify and sign up for membership (i.e. open an account) if you want to take advantage of the low-interest auto loans and other services they provide. When you opt to secure funding for your auto loan through the very dealership that's selling you a car, you should know that you aren't going to enjoy a lot of options. Sure, you'll get to decide on the terms of the loan, and you could enjoy a lower rate by selecting a longer repayment schedule (although you'll probably end up paying more in the long run in this scenario). But when you speak with an independent lender, you can discuss different finance options. Independent lending institutions not only provide you with the lowest rates they can offer, but many also have educational resources at the ready. They can help you determine trade-in value, calculate monthly payments, figure out how much of a down payment you'll need, and even compare rates for you. These educational resources can definitely be helpful when trying to decide on the best method of funding for your vehicle purchase. When you've been banking with a particular financial institution for a while, you'll form a relationship based not only on your financial history, but also on your interactions with bank personnel. And this can make for a much more fruitful lending experience. In general, any institution you bank with is going to strive to offer exceptional customer service, simply because you're a member and they want to preserve that relationship. A salesman at a car dealership, on the other hand, might be more likely to pressure you into a loan that isn't really favorable, simply so he can sell a car and hit his quota. Your lender will almost certainly work with you to figure out a flexible loan plan that works with your personal finances. As long as you get loan approval, a dealership won't hesitate to upsell, even if you can't really afford it. There's no denying that there's a lot less work involved in taking the loan offered by the dealership. They'll get all the necessary approvals, so all you have to do is choose your terms and sign on the dotted line. Unfortunately, this might not be the most fiscally responsible choice. Naturally, there will be times when you're willing to pay for ease of use. But when you consider the money that could be saved by taking the time to shop around for the lowest interest rates, you might not be so keen to take the easy way out. In the end, it may well be the case that the dealership offers the lowest rates. But you're doing yourself a major disservice by taking the easy way out and not exercising due diligence.